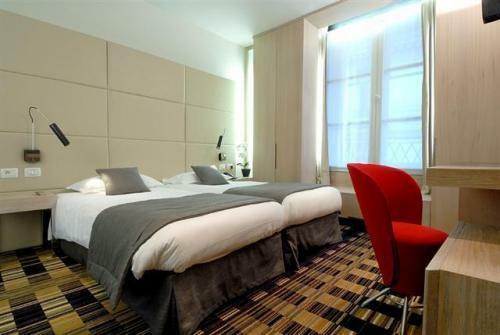 This intimate and stylish Hotel has a great location between Op?ra and Louvre Museum, just off the designer street of Faubourg-St-Honor?. The stylish lobby leads you through to the lounge bar, which opens out onto a Japanese garden, as well as a fireplace. Most of the rooms are facing the inside garden and offer the same high level in design with a hint of Japanese style, minimalist bathrooms, air-conditioning, mini-bar and television. Some of the most popular Parisian restaurants and fashionable bars are located in the surrounding streets.